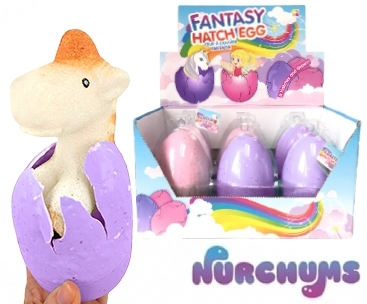 The Fantasy Hatching Egg is a new and exciting product from Keycraft. 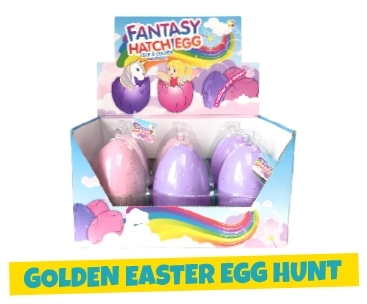 Every pack comes with an assortment of pink and purple hatching eggs, and each egg contains either a fairy or a unicorn! We have also developed a complementary display unit to WOW your customers and drive impulse sales in your store. Order 144 x Fantasy Hatching Eggs and receive our display stand FREE OF CHARGE! View the Fantasy Hatching Egg Display Solution. Place in water and watch your egg hatch and grow! Will expand for up to 2 weeks and shrink when removed from water!